The Nai Harn, Phuket, Thailand: It's the only hotel directly on the ocean at Nai Harn beach and all 130 rooms and suites have Andaman Sea views. 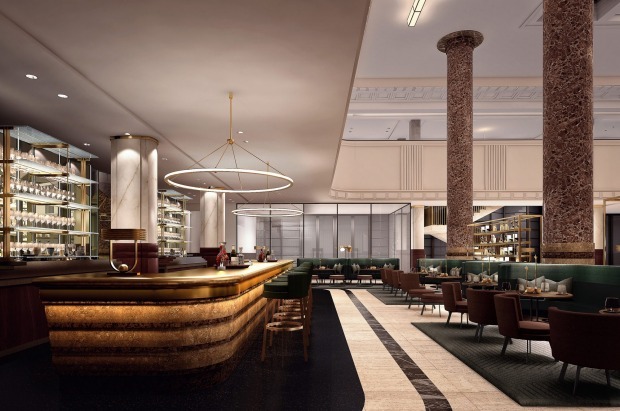 The Primus Hotel Sydney: The showstopper will be the grand lobby, with a proper lobby bar and restaurant and a sweeping staircase leading up to ballroom spaces. St. Regis Langkawi, Malaysia: The hotel will offer 85 suites and four "water villas" all with view of the Straits of Malacca and serviced by the signature St. Regis Butler Service. 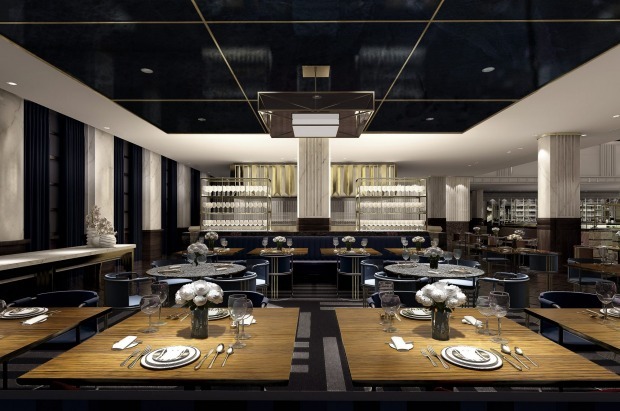 The Intercontinental Singapore Robertson Quay: It's Singapore's second Intercontinental hotel. But it's designed to be distinctly different from the Peranakan-inspired original Intercontinental Singapore. The Fontenay, Hamburg, Germany: The Fontenay is a 131-room hotel on the banks of Lake Alster within a 10-minute walk of Hamburg's city centre. 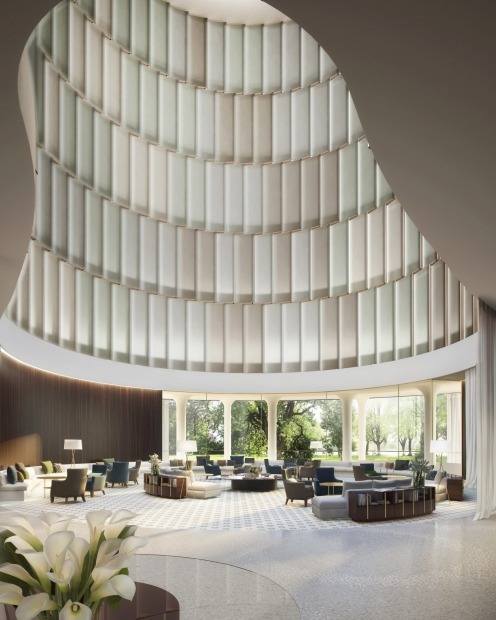 It's design is sculptural, featuring a facade of white ceramic tiles and a 27-metre-high atrium that captures maximum daylight, while all 131 rooms and suites capture views of the lake. The Limalimo Lodge, Ethiopia: The escarpment-top 14-room lodge, in northern Ethiopia's UNESCO World Heritage-listed Simien Mountains National Park, is all about responsible, sustainable tourism working in partnership with the African Wildlife Foundation and having been largely built and staffed by workers from the Limalimo community. 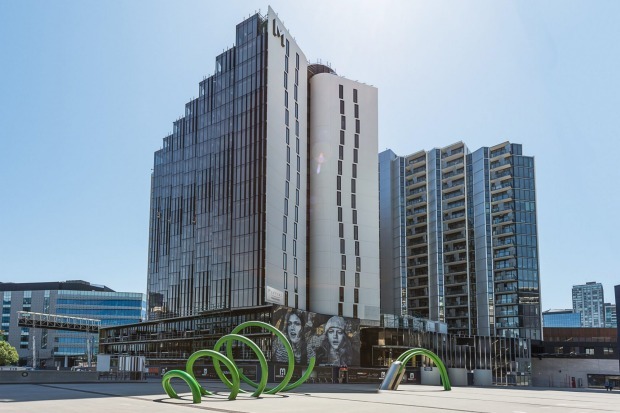 Peppers Docklands, Melbourne: Melbourne's Docklands gets its first five-star hotel with the arrival of Peppers Docklands Melbourne in early 2016. The 87-suite beauty sits within the $140 million, 19-level, primarily residential M Docklands project. Thanda Island, Tanzania: Off the coast of Tanzania, it affords access to the Shungi Mbili Island Marine Reserve and has its own abundant coral reef where island guests have the box seat for turtle nesting, humpback whale migration and exclusive access to a whale shark diving spot, where you may also see dugongs and dolphins. 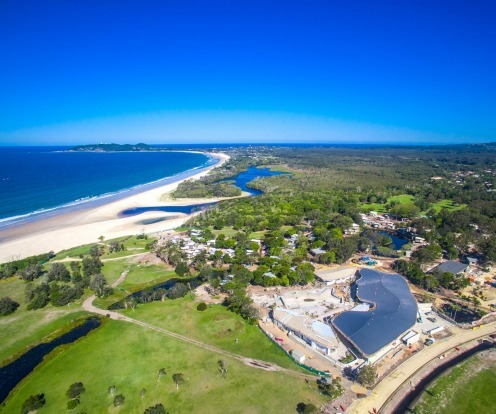 Elements of Byron Resort and Spa, Byron Bay: The resort's $100 million 20-hectare site has two kilometres of absolute beachfront in the millionaire's row area. 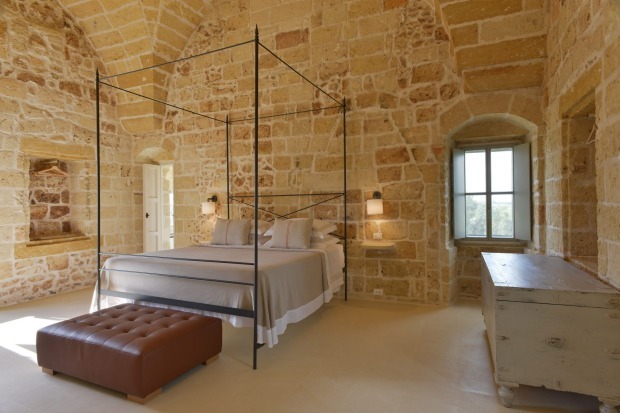 Masseria Trapana, Puglia, Italy: The bijou property in a 16th-century country farmhouse features nine stylish suites set among six gardens with a pool and chapel. Jetwing Colombo Seven, Sri Lanka: The hotel's Ward Place location is great for the main shopping and landmark areas and, when open in August, the 70-room and 28-apartment hotel will offer guests a spectacular rooftop pool with wonderful views. For the global hotel industry, 2016 sees some significant new hotels from large chains in major cities. It also offers some stunning independent options. In a year when value for the Australian dollar and security concerns are likely to be at the forefront of travellers' minds, these individual, more remote options may hold sway. But for those seeking cutting-edge accommodation in central locations, the more mainstream offerings will be grand designs indeed. Melbourne's Docklands gets its first five-star hotel with the arrival of Peppers Docklands Melbourne in early 2016. The 87-suite beauty sits within the $140 million, 19-level, primarily residential M Docklands project. But with 11 retail shops on ground level plus the hotel, hopes are high for the property to add life to the languishing waterfront area that has suffered from a sense of disconnection from the CBD. Glimpses of the hotel's interiors suggest classic dark timbers, white stone, sumptuous leather and gleaming glass offset with emblematic Melbourne "graffiti artwork" on feature walls. As the new year rings in, a fabulous old Sydney building will be celebrating her own new beginning. The 1930s heritage-listed Sydney Metropolitan Water , Sewerage and Drainage Board head office still contained magnificent art deco elements which, at the deft hand of award-winning Australian architects Woods Bagot, have been faithfully restored. There's a new 240-metre tower (the tallest residential tower in the city) now rising next to it, but all 172 rooms of the hotel are in the old structure, starting on level three. The showstopper will be the grand lobby, with a proper lobby bar and restaurant and a sweeping staircase leading up to ballroom spaces. 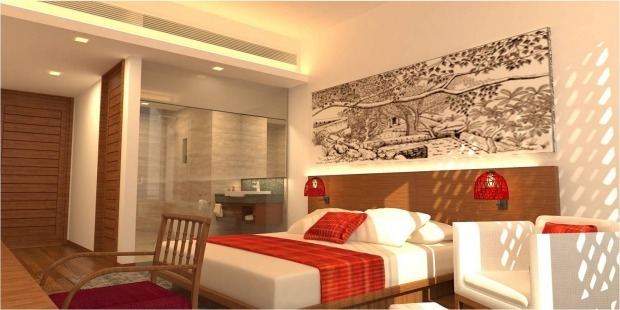 Primus is also promising what could just be the best presidential suite in the city. 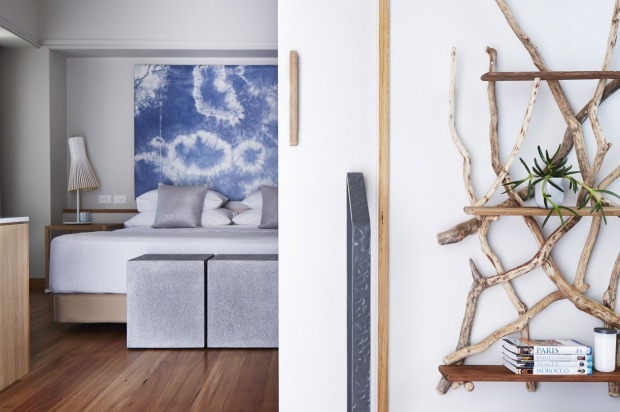 A member of Accor's M Gallery collection, Elements of Byron takes up a remarkable parcel of land once owned by Club Med on Byron's beautiful Belongil Beach. In fact, the $100 million 20-hectare site has two kilometres of absolute beachfront in the millionaire's row area. The Brisbane-based owners and developers were keen to "let nature, not buildings, dominate". To that end, the buildings are contoured with the dunes and landscaping is native- and site-appropriate, while furnishings and colour palettes reflect those of the environment. The 94 villas are powered by a "state-of-the-art energy management system" which enables guests to monitor their carbon footprint in real-time via iPads. If that sounds a little less than relaxing, just head for the central lagoon pool, sunken fire pit and five-suite garden spa. 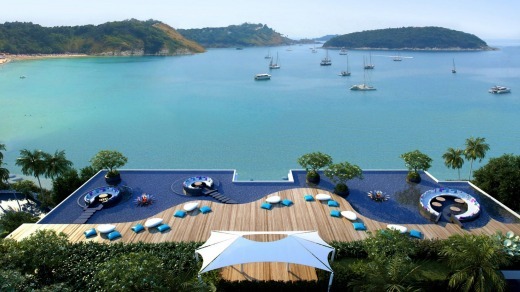 The Nai Harn, Phuket, Thailand. Wellington's wackiest hotel is now set to be its most stylish, as the QT brand continues its regional expansion. Late 2015, early 2016 sees QTs opening in Bondi, Melbourne and then the New Zealand capital, where the chain has taken over the Museum Hotel, the black monolith with a life-size hippopotamus on the roof of its front porch and interiors full of less-than-subtle rococo, animal prints and wildly eclectic art. It's a wonderfully positioned property, opposite Te Papa and the Wellington waterfront and it's QT's first outside Australia. In keeping with the brand's penchant for witty, individualised hotels, expect the 160-plus-roomed hotel to maintain its sense of arty fun, only perhaps, with a little more finesse. Malaysia's first St. Regis hotel opens April 2016 in Langkawi, with the group proclaiming it a "game changer" for the luxury end of the Andaman Sea archipelago's holiday offerings. 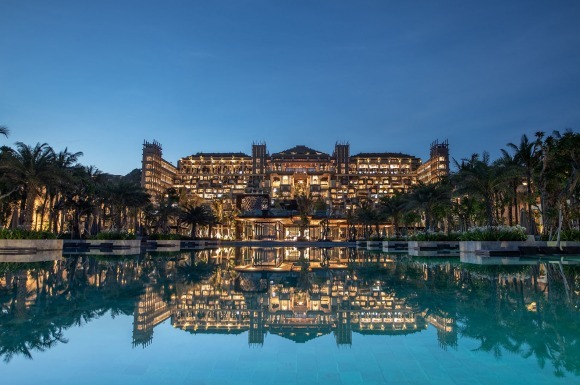 The hotel will offer 85 suites and four "water villas" all with view of the Straits of Malacca and serviced by the signature St. Regis Butler Service. There are five food and beverage venues, an Iridium Spa, a swimming pool as well as the "largest swimmable lagoon on the island". 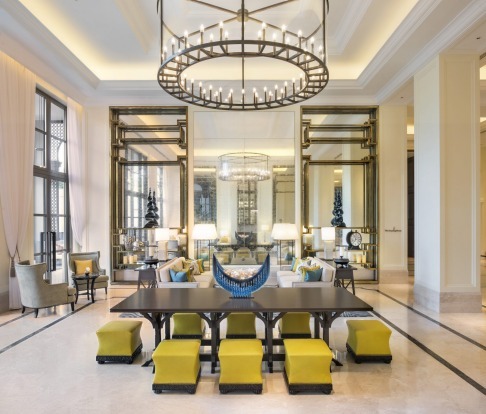 It's the front runner of St. Regis's planned expansion into Malaysia, with St Regis Kuala Lumpur on the drawing board for opening within the next next few years. Since opening in 1986, the Royal Phuket Yacht Club hosted the creme de la creme of old-school celebrity, including European and Thai royalty, former French president Jacques Chirac, the late actor Sir Peter Ustinov, ballet legend Rudolph Nureyev, and actor Roger Moore, who filmed Doctor No a short speedboat ride away. 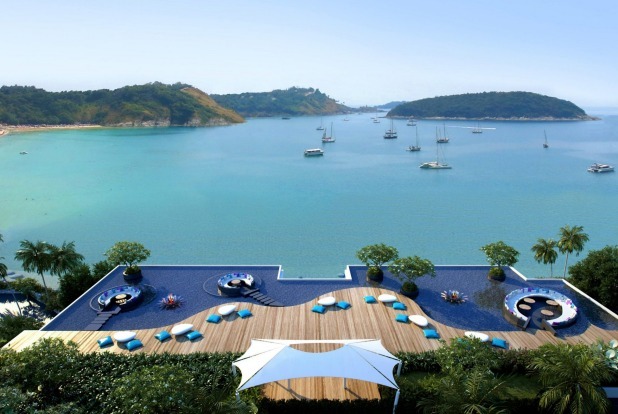 Following an 18-month remodel, the property opens in January as The Nai Harn, promising to take luxury to a new level for Phuket. 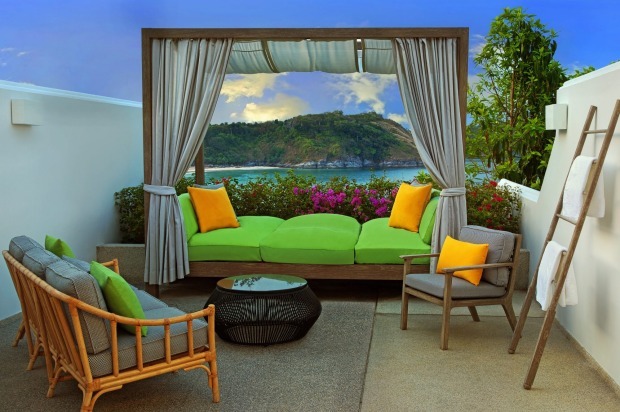 It's the only hotel directly on the ocean at Nai Harn beach and all 130 rooms and suites have Andaman Sea views. As glam as it is, there's a big emphasis on connection to southern Thai culture as well as to the heritage of the property. Despite being busy with local families out and about on the weekend, Singapore's Robertson Quay, upriver from the more tourist-friendly Clarke Quay, has suffered from an identity crisis, or rather, a lack of identity. The Robertson Quay Project rejuvenation program plans to fix that with a new mixed use space combining restaurants, bars and retail with a handcrafted, one-of-a-kind vibe. The hotel going in is one of two-of-a-kind: it's Singapore's second Intercontinental hotel. But it's designed to be distinctly different from the Peranakan-inspired original Intercontinental Singapore. The new hotel will fit into the NYC West Village mien the developers are hoping to create and will be more contemporary, making the most of its waterfront location, with the ground floor intended to be part of the streetscape, given over to restaurants and retail with reception ensconced on level four. 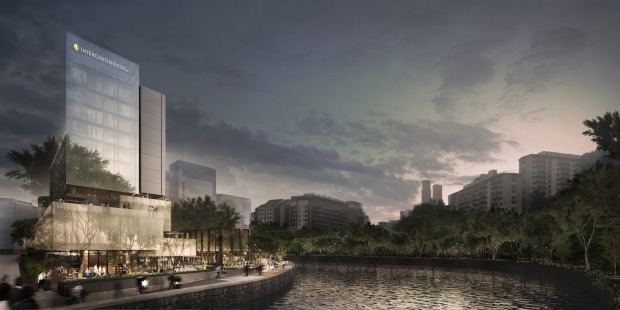 Opening late 2016, it will have nearly 230 guest rooms offering views of the Singapore River and city skyline. As lofty as its namesake's political aspirations (and hair), the highly anticipated Trump International Hotel & Tower Vancouver is set to transform the city's skyline. It will be Vancouver's second tallest building at 188 metres (57 storeys). The elaborate tower, created by legendary Canadian and august modernist designer Arthur Erickson, features a unique twisting shape, providing unique views from every suite. There will be 147 guest rooms, a champagne lounge, signature restaurant, banquet and conference centre, and Vancouver's first pool bar nightclub as well as Canada's first Mar-a-Lago Spa by Ivanka Trump. The $360 million development is part of the revitalisation of the city's West Georgia corridor. There are some great hotel openings across the US, from the ultra-cool James Hotel in Hollywood, to the boutique historic beauty of the Hi-Lo in Portland, Oregon. But will any other generate as much excitement as this? The 450-room The Guest House at Graceland on Elvis Presley Boulevard, the largest hotel project in Memphis for more than 90 years, is inspired by Elvis Presley's home and promises that "every aspect of The Guest House at Graceland will reflect Elvis's personal style and the unique character of Graceland, from the southern colonial exterior to themed specialty suites, many with designs supervised by Priscilla Presley". Opens late October. See www.graceland.com. How to make an amazing new hotel in a city already bursting at the seams with spectacular hospitality? Commandeer architectural history. Ten Trinity Square is a 100-year-old structure featuring a great tower and grand Portland stone rotunda. It's grade two listed and next to the Tower of London World Heritage Site. As such, tremendous care is being taken to preserve the detail and integrity of the original building. When completed, it will comprise Ten Trinity Square, The Residences at Four Seasons, a collection of 41 extraordinary apartments, and Four Seasons Hotel London at Ten Trinity Square, an exclusive, impeccable, 100-room hotel. Also in London in 2016: the 453-room Intercontinental London at the O2, and the deliberately family-friendly, four-star Park Plaza London Waterloo. The favourite German city of the Germans has not had a new five-star hotel for nearly two decades. And such is the way of these design-savvy, clever people, they've not done things by halves. The Fontenay is the BMW of hotels: classy, economical, elite and simply gorgeous to look at. Slated to open in the northern autumn, The Fontenay is a 131-room hotel on the banks of Lake Alster within a 10-minute walk of Hamburg's city centre. Hamburg architect Jan Stormer's design is sculptural, featuring a facade of white ceramic tiles and a 27-metre-high atrium that captures maximum daylight, while all 131 rooms and suites capture views of the lake. Australian Rob Potter-Sanders is living your dream. 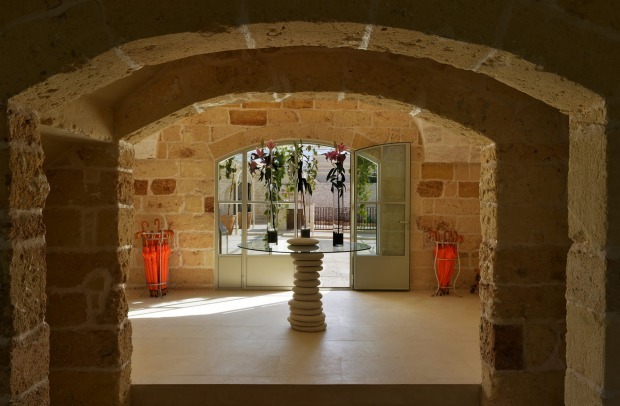 The hospitality professional who has worked in Australia, the United Kingdom, Morocco and Italy is, this northern spring, opening Masseria Trapana in Puglia, just outside Lecce. The bijou property in a 16th-century country farmhouse features nine stylish suites set among six gardens with a pool and chapel. Everything is handpicked or bespoke, with nods to Potter-Sanders' international experience and exemplary taste and the surrounding 60 hectares of lush gardens planted many years ago, featuring 19 variations of fruit and nut trees, including lemon, blood orange, pomegranate, walnut and mandarin, have been spruced to perfection. Aman Resorts' second property in Japan is the very essence of Japanese chic, on Ago Bay, also known as the Bay of Pearls, in the Ise-Shima National Park. The ryokan-style retreat about 300 kilometres south-west of Tokyo has only 24 suites and four two-bedroom villas, each with its own onsen​ and private slice of the stunning grounds. There is, of course, an onsite Aman Spa with two onsen pavilions, watsu pool, four treatment suites, a gym and a yoga studio. The property's restaurant specialises in miketsukuni, an imperial Japanese cuisine, and will serve the Matsusaka Ushi variety of wagyu beef, endemic to the region. Sri Lanka's homegrown hotel brand Jetwing is expanding, opening a number of tony hotels across the country. A winner at the recent World Luxury Hotel Awards, the family-owned company of more than four decades' experience has a trademark of traditional Sri Lankan hospitality, distinctive design and elegant comfort alongside responsible practice across its 24 resorts. Colombo Seven will be its first city-style hotel and its first property in the capital. With tourist arrivals reaching new highs in Sri Lanka and government keen to encourage foreign visitation (levies on the hotel and travel industries have just been reduced), Jetwing's timing couldn't be more perfect. The hotel's Ward Place location is great for the main shopping and landmark areas and, when open in August, the 70-room and 28-apartment hotel will offer guests a spectacular rooftop pool with wonderful views. The Olofsson family, Sweden's largest private investors and philanthropists in South Africa, have, for some time, allowed families and groups of friends to hire their Villa iZulu, voted Africa's best luxury villa. It's within their fabulous Thanda Private Game Reserve in KwaZulu Natal, South Africa. 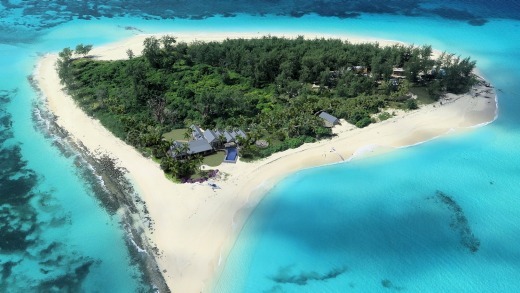 In 2016, they're doing the same with Thanda Private Island. Off the coast of Tanzania, it affords access to the Shungi Mbili Island Marine Reserve and has its own abundant coral reef where island guests have the box seat for turtle nesting, humpback whale migration and exclusive access to a whale shark diving spot, where you may also see dugongs and dolphins. Use the island's private heli pad or partake of the 28ft Deep Sea Catamaran transfer. Either way, rest easy in all that luxury: the Olofssons and their properties have serious eco-cred and commitment to local communities. Limalimo Lodge is the realisation of a dream for two native Simien mountain guides keen to share the environment they have loved for decades. 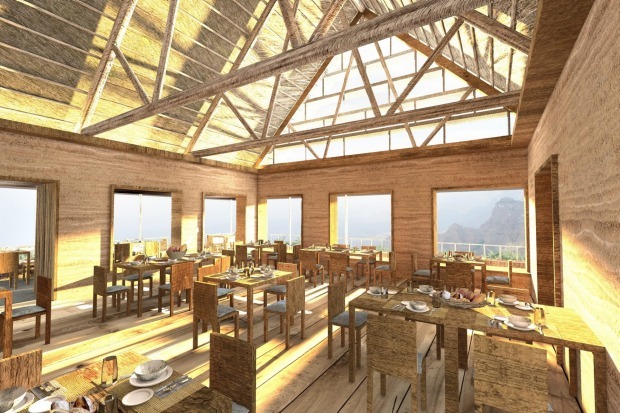 The escarpment-top 14-room lodge, in northern Ethiopia's UNESCO World Heritage-listed Simien Mountains National Park, is all about responsible, sustainable tourism working in partnership with the African Wildlife Foundation and having been largely built and staffed by workers from the Limalimo community. Food will be purchased locally and a conservation fee from every guest's overnight stay will be directly invested into conservation of the park, which guests will likely gladly pay. There's incredible wildlife here: the world's largest population of endemic gelada monkey roam the area. There's great cultural connection, too. The lodge will facilitate guest interaction with Ethiopian village life. 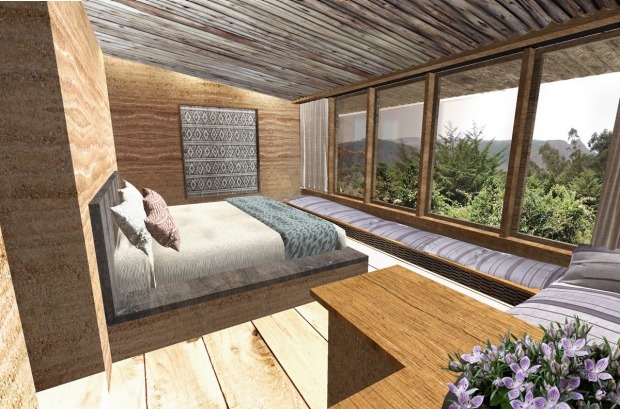 But for downtime, Limalimo will also offer guests private terraces, hammocks, a restaurant, bar and fire pit. Limalimo Lodge opens in January.